AUSTIN, Texas â€“ With classes letting out for the summer, many young Texans will turn their attention to schools of a different sort: fish. 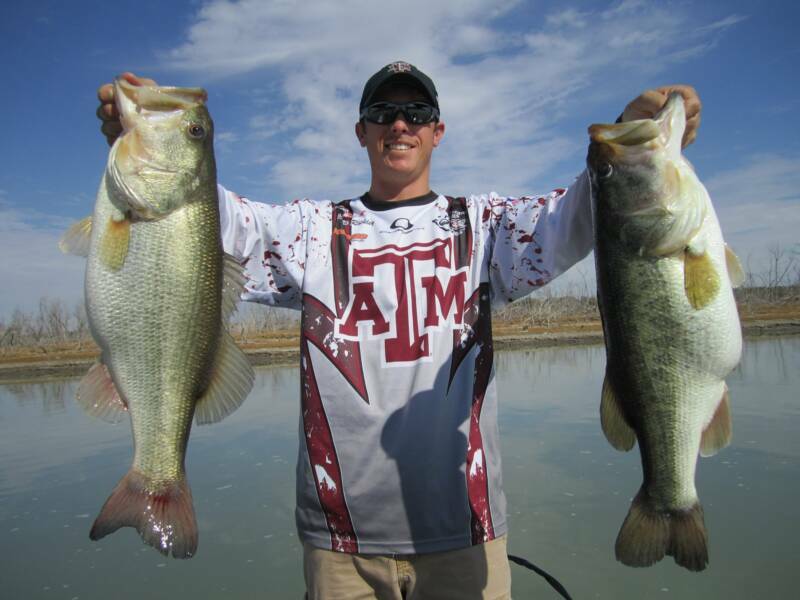 Some will make the grade by adding their name to the state angling record books. 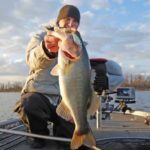 And, for young anglers hoping to score on two of the stateâ€™s most popular game fish species â€“largemouth bass and spotted seatrout â€“ the bar just got raised. Both records were eclipsed in late April with impressive catches. 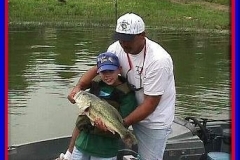 The new largemouth bass record for junior anglers is an 11.57-pound brute caught on Sam Rayburn Reservoir April 23 by 11-year-old Brandon Adams of Florence, Texas. The fish measured more than 28 inches in length. After a quick photo session, Brandon released his record catch back into the lake. A week later, 10-year-old Matthew Claude Johnson of Caldwell, Texas, reeled in a prized 30-inch trout on Matagorda Bay that weighed 9 pounds. 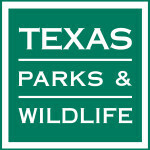 Both fish have been certified in the Texas Parks and Wildlife Departmentâ€™s Angler Recognition Awards program for state and water body fish records. â€œTrophy fish like these new records would be a prize for any angler, and these recent catches demonstrate the level of skill possessed by our younger fishermen,â€ said Joedy Gray, Angler Recognition Awards program coordinator at TPWD. â€œThere are still plenty of water bodies without records, so the opportunity to get your name in the books is out there. 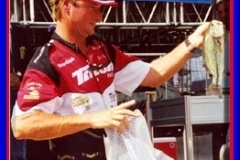 For example, each bay system represents a separate water body and when you consider how many coastal fish species there are, the record books are wide open.â€ The Junior Angler Recognition Program is open to kids 16 and younger and the same rules for entry in the Angler Recognition Awards program apply for the juniors. Fish can be entered in the following categories. 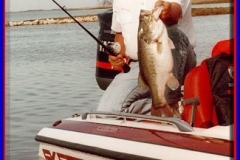 State Records for Public Waters * Rod & Reel â€“ recognition for catching the largest fish of a species from Texas public waters by rod & reel fishing. * Fly Fishing â€“ recognition for catching the largest fish of a species from Texas public waters by fly fishing methods using artificial lures. * Unrestricted â€“ recognition for catching the largest fish of a species from Texas public waters by any legal method other than rod & reel. * Bow Fishing â€“ recognition for catching the largest fish of a species from Texas public waters by bow fishing. 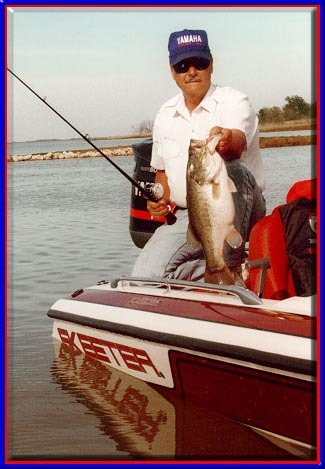 State Records for Private Waters * Rod & Reel â€“ recognition for catching the largest fish of a species from Texas private waters by rod & reel. * Fly Fishing â€“ recognition for catching the largest fish of a species from Texas private waters by fly fishing methods using artificial lures. * Bow Fishing â€“ recognition for catching the largest fish of a species from Texas private waters by bow fishing. * Water Body Records â€“Records for individual locations (reservoirs, rivers, bays, etc.) are also maintained. 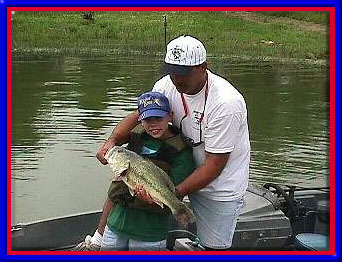 * All Tackle â€“ recognition for catching the largest fish of a species from a particular Texas public water body using any legal method. 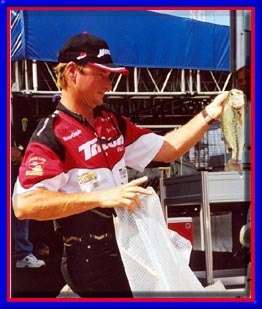 * Rod & Reel â€“ recognition for catching the largest fish of a species from a particular Texas public water body by rod & reel. 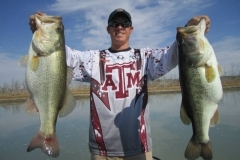 * Fly Fishing â€“ recognition for catching the largest fish of a species from a particular Texas public water body by fly fishing methods using artificial lures. * Bow Fishing â€“ recognition for catching the largest fish of a species from a particular Texas public water body by bow fishing. * Big Fish Award â€“ for catching a trophy class fish of selected species. * Catch and Release Award â€“ for the catch and live release of a trophy class fish of selected species. 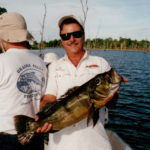 There are also categories for the first fish caught by an angler of any age and for a catch that does not meet the requirements of other award programs but still deserves recognition. Consideration for all state and water body records, except first fish awards, must include the fishâ€™s weight on certified scales. Certified scales are scales (either electronic or spring-based) that have been certified as accurate by the Texas Department of Agriculture, the International Game Fish Association (which certifies handheld scales) or a commercial scales calibration company. Feed stores, fertilizer plants, and scales calibration companies are good sources. Record fish must be weighed on certified scales within three days of the catch, although weights on non-certified scales will be considered providing the scales are certified within 30 days. Applications must be received within 60 days of the catch date and a notary witness is required for State Record applications. 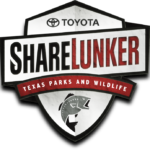 For more information contact: Junior Angler Recognition Awards Program, Attn: Joedy Gray-IF, Texas Parks and Wildlife Department, 4200 Smith School Road, Austin TX 78744; e-mail: joedy.gray@tpwd.state.tx.us or phone (512) 389-8037.